I’m finally getting round to jotting down a bit about my last holiday to Ireland. We were very lucky; Eddi won the holiday in a competition so on Friday 6th May we were up uber early (4am if you please which I did not like) to go to the airport to jet across to Dublin. I was very excited as it was my first trip on a plane. The flight was only 45 minutes so arrived in Dublin at about 7.30am and were met in the arrivals hall by a man who had Eddi’s name written on a card. Why he didn’t have my name written on his card too I’ll never know. 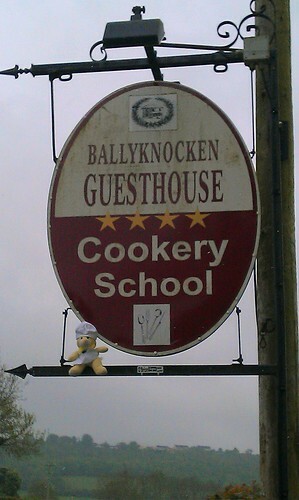 Anyway, he took us all the way to Ballyknocken House at Glenealy which took us about an hour so that was nice of him. 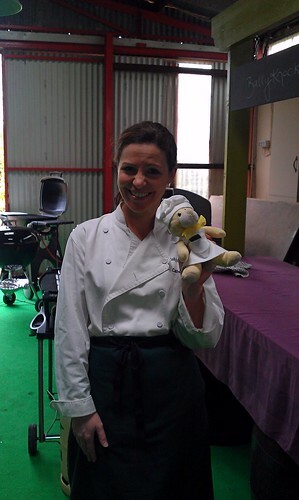 I should explain that Eddi’s prize was a two night stay for two people (and one small bear) to Ballyknocken House and Cookery School run by Catherine Fulvio who is a well known TV chef in Ireland. It included the trips on the plane, the cars to and from the airport, breakfasts, dinners and a cookery course for us on Saturday. We arrived at Ballyknocken very early, and well before our room was ready, so the nice lady who met us changed our booking for us to another room. And when we came back downstairs there was tea, coffee and a big slice of lemon drizzle cake waiting for us in the sitting room. The nice lady said that dinner was at 7:30 and pre-dinner sherry was at 7:15 in the lounge. Woohoo! I’ve never had sherry. We had all day to spare so we took a taxi into Wicklow town to kill some time. We went for a walk at the harbour but didn’t take any pictures as it was really windy and Ben said he didn’t want me to blow into the sea. We walked up across the river and into the town and eventually decided on Fitzpatricks pubfor a drink and then went across the road to Earls Mezzanine Cafe for lunch (and to make use of their free WiFi). We went back to the B&B mid afternoon to unpack and get ready for dinner, though I should point out that since I’m a bear that travels light and takes no time at all to get ready, I mostly spent the time looking out of the window. Dinner was amazing, they tell me, since I wasn’t allowed to go. But I knew we’d be having a lot to eat the next day after our cooking class so I didn’t mind. Saturday morning we had a bit of a lie in since we were up so very early on Friday. We had breakfast late and then we headed over to the cookery school building for our BBQ and Outdoor Dining class at 11:30. There were lots more people than I’d expected, about 20 altogether. We all sat and listened to Catherine give us lots of tips on cooking barbecue food and going through the recipes we’d be doing, then we were all given our chefs hats and aprons, put together in groups and set about cooking up some food. It was quite amusing… everybody running round to find bowls and oils and herbs and other ingredients. On our table we decided to make some chicken skewers, lemon and herb couscous, marinaded chilli prawns and some marinaded pork escalopes (Ben hammered the pork steaks out flat which I think he enjoyed!). After we’d all finished preparing the food we carried it all out to the barn to out on the barbecues to cook. Once it was all cooked we all helped ourselves to a plateful to taste. It was all really nice and Eddi has all the recipes so we can cook it again at home. At the end of class I had my photo taken with Catherine. We went for a walk round the farm and to see the sheep and then went inside to have a rest and get ready for dinner later. Well, some people got ready for dinner. Personally I was full of barbecue food so I stayed in the room to read and have a snooze while Eddi and Ben went downstairs for their second round of sherry and another four-course banquet cooked by Catherine. Sunday was going home day. The man with the car wasnt picking us up til 3o’clock so after breakfast we packed to go home and then went for a walk in the countryside. We walked a loooong way. So on the way back we went to the pub in Glenealy before walking back along the long lane to Ballyknocken. The man with the car picked us up at 3pm prompt and we were back at Dublin airport with planty of time to relax and have some dinner, have a look round the shops and then sit and read a mag waiting for the aeroplane to arrive. 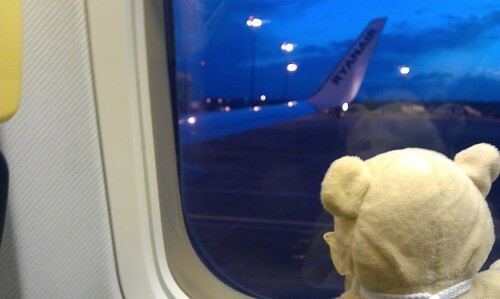 When we were allowed to get on Eddi headed for a window seat as usual (so I could see out she said) and we took off to go home. It was quite late when we got back to the airport at home. We had to get on another bus to go back to the car to get home. It was a great weekend. I’ve got to get ready for our next holiday to France next month now. We’re going camping – can’t wait. It’s been very interesting to read of your travels to Ireland. I’m off on my holidays soon, Dee and Graham are taking me to Scarborough this coming week, Graham will be working in the area, he’s convinced that Dee checked the dates to go on holiday, so we get to go a couple of extra days extra. Graham will leave Dee and me at the hotel, and then go off to see the cook shops. I must tell you one thing, I was listening to Graham on the wireless today, when he was reading out the What’s On things for today and next week, he read out an item for an event that took place on Friday. What a silly person, you thought he could get things right, after all, he’s being on the radio now for 12 months. 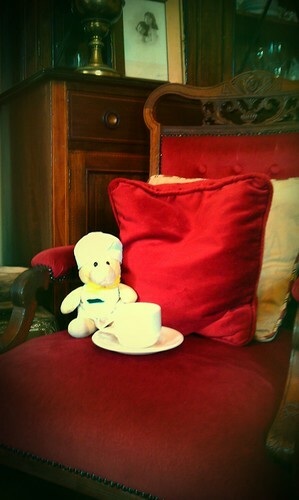 Look forward to seeing yopu soon, best wishes, Nookie Bear.